1. 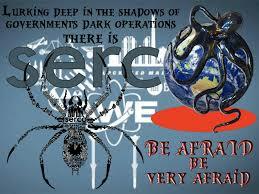 Abel Danger (AD) claims that a Serco protégée – a woman-owned 8(a) company named Base One Technologies – has bypassed the Pentagon Renovation project to support arms-trafficking and hit teams through the private servers of the Clinton State Department. 2. AD claims that Serco used the servers to distribute Zulu timing signals to DOJ Pride. 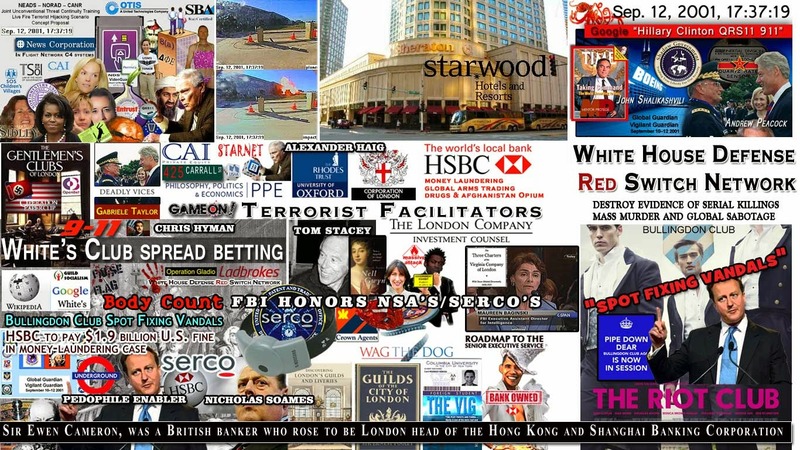 insiders so they could bet on the times at which children – abducted from 8(a) countries and sold as jockey boys to the UAE – would die in real-time snuff-film productions. 3. AD claims that Serco used the onion router network installed on the 8(a) servers to spot fixed the timing of bombs detonated near the Medina shrine in Saudi Arabia and send a message to the Saudi government not to reveal the Clinton’s role in the ISIS insurgency. 4. 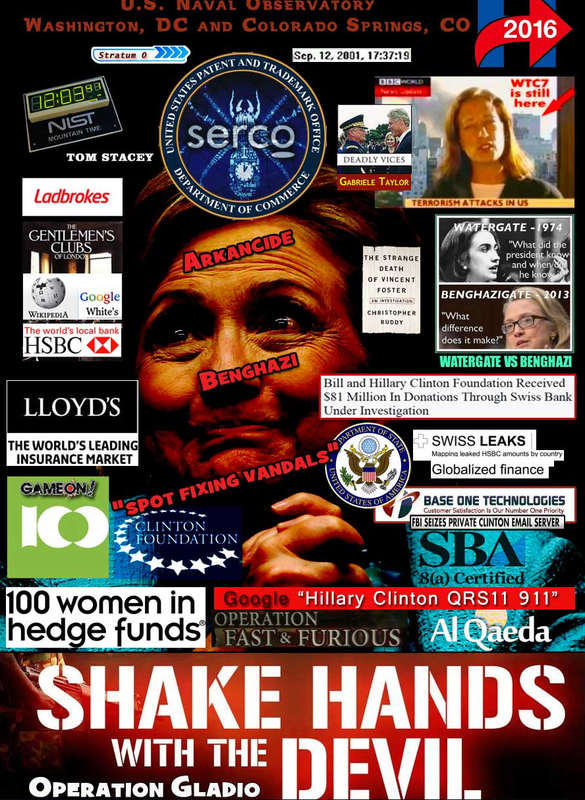 United States Marine Field McConnell offers to brief James Comey – a former director of Serco‘s banker HSBC and the current FBI director – on Hillary Clinton’s use of the 8(a) servers to bypass the Penatgon for DOJ Pride. (https://abeldanger.blogspot.com/2010/01/field-mcconnell-bio.html). Published in the New York Post on April 9, 2008. When Hillary Clinton professed to be furious about Mark Penn’s lobbying for the Colombia Free Trade Pact, did she realize that she’s up to her ears in lobbyists for foreign entities? Many of her top advisers and strongest supporters are registered lobbyists for foreign governments and corporations – and many may have gotten lucrative clients via referrals from Bill Clinton himself or by advertising their close connections to the couple. Remember the Dubai Ports deal? Bill Clinton was caught advising the Emir of Dubai on how to handle Congress at the very same time that Hillary was blasting the deal. We’ve since learned that Bill’s in a partnership with the sheik and Yucaipa’s Ron Burkle. The Clintons won’t say how much of his $15 million from Yucaipa came from Dubai, but we know that Bill looks out for its interests. When the Port deal ran into trouble, Bill recommended that Dubai hire Glover Park. Shortly afterward, Glover Park was retained to represent Dubai on another deal – routed through a law firm, making it harder to track the Dubai connection. The partner handling the Dubai account? The brother of Neera Tanden, Hillary’s policy aide. There’s more: Dubai Aerospace hired Glover Park for $250,000 and the firm of Quinn, Gillespie for $240,000. Jack Quinn is the former counsel to Clinton who engineered the pardon of fugitive billionaire Mark Rich. Quinn’s firm is owned by WPP, the company that owns Penn’s Burson Marsteller. When the emir and his brother were sued in Miami in a class-action claiming that they had kidnapped young boys to train as camel jockeys, the Dubai lobbying efforts kicked into high gear. DLA Piper, whose lobbyist partners include two Hillary mega-bundlers, was hired to convince the Bush administration to intervene in the lawsuit. A suicide bomber has killed four security officers and injured five others near one of Islam’s holiest sites in the Saudi city of Medina, according to the interior ministry. The bomber detonated his explosives after being stopped outside the Prophet’s Mosque, a statement said. The mosque is the burial place of the Prophet Muhammad and Medina the holiest city in Islam after Mecca. Suicide blasts also struck two other Saudi cities on Monday. The fact that an attack happened in Medina at such a place is likely to leave Muslims around the world aghast, BBC World Service’s Middle East editor, Alan Johnston, says. Suspicion is likely to fall on so-called Islamic State (IS), he adds. Al-Arabiya gave a different account of the incident, saying the bomber had targeted the security officers by pretending he wanted to break his Ramadan fast with them. Qari Ziyaad Patel, 36, from South Africa, who was in the mosque, told the Associated Press news agency people had at first thought it was the sound of the cannon fire that marks the breaking of fast. Earlier, at least one explosion rocked Qatif, an eastern city which is home to many minority Shia Muslims. The blast appeared to target a Shia mosque. The attacker was killed but no other casualties were reported. Why IS attacks during Ramadan? By Shiraz Maher, King’s College, London. Ramadan is traditionally viewed as the most holy and spiritual month in the Islamic calendar, a time of penance and temperance. Mosques are consequently fuller than usual, typically packed with worshippers seeking divine mercy and blessings. Juxtaposed alongside that ascetic puritanism is the view of radicals who regard Ramadan as a month of conquest and plunder. They believe it is an opportune moment to double down on their millenarian war against civilisation and therefore launch more attacks than normal. A suspected suicide bomber also died after detonating a device near the US consulate in the city of Jeddah in the early hours of Monday. Two security officers were slightly injured as they tackled the man, but no-one else was hurt. No-one has yet said they were behind any of the attacks. Medina at a glance Islam’s second holiest city, after Mecca Millions of pilgrims visit every year Believed to be the burial place of the Prophet Muhammad”.